Cyril Neville, Uptown Ruler. The baddest man in the neighborhood, the youngest brother in the first family of Crescent City musical royalty, is rejuvenated and unchained. After fifty years of sharing his musical gifts with the world, Cyril is 100% owner and controller of his music. Cyril Neville is proud to celebrate his newfound freedom as the first artist on World Order Entertainment, the label started by his son, Omari Neville. 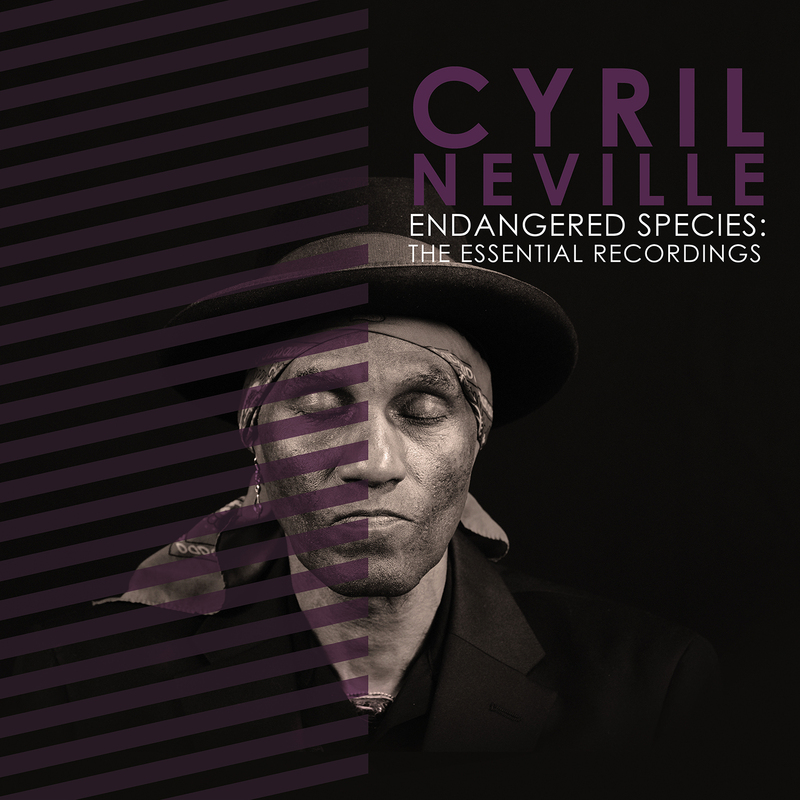 In partnership with Louisiana Red Hot Records, World Order Entertainment is proud to announce the July 13, 2018 release of a 5-disc retrospective of Cyril Neville’s Endangered Species recordings – CYRIL NEVILLE / ENDANGERED SPECIES: THE COMPLETE RECORDINGS, and a finely distilled 1-disc compilation, CYRIL NEVILLE / ENDANGERED SPECIES: THE ESSENTIAL RECORDINGS. Cyril Neville. When you hear his voice you start to visualize the beating of the drums. You start to hear the rhythm of the guitar. You start to feel the bass. His lyrics – the words and their flow – embody both the ancestral struggle of African-Americans and a joyous celebration of their strength. The essence of his music is in the combination of this spirit and a powerful connection to his African roots. Grammy Award winning New Orleans Neville Brother, Cyril Nevillehas been called a philosopher, poet, and one of the last great southern soul singers. In 1970 he released his debut solo single, “Gossip” b/w “Tell Me What’s On Your Mind,” which included backing music by brother Art’s new outfit, The Meters. It just so happened at this time that the Meters were looking to expand their lineup, and asked Cyril to join in on vocals and percussion contributing to the classic Meters albums such as 1972’s Cabbage Alley and 1975’s Fire On The Bayou. Later that year the Rolling Stones invited the Meters to support the band’s world tour and Mick and Keith wouldn’t have it any other way. “You guys should come on tour with us with Cyril as your singer,” is how it was put to the Meters, who gladly obliged. Just as the Meters splintered in 1976, Cyril became enraptured with reggae music (thanks to Bob Marley’s landmark Natty Dread album), as all four Neville siblings formed the Neville Brothers group, issuing numerous subsequent recordings. 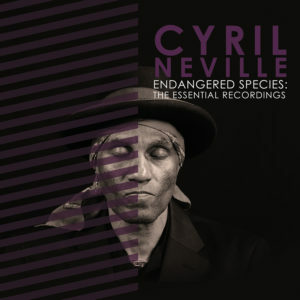 In addition to his work with the Neville Brothers, Cyril has formed other bands over the years, including the Endangered Species Band in 1983 and the Uptown Allstars Band, while he also found time to launch his own record label,Endangered Species. Cyril also founded the New Orleans Musicians Organized (NOMO), which helps musicians who need business advice with their careers. Cyril Neville has issued several solo albums on his own over the years, including 1995’s The Fire This Time, and a pair in 2000, New Orleans Cookin’ and Soulo. Plus he has guested on many other artists’ recordings over the years, including albums by Edie Brickell, Jimmy Buffett, Tab Benoit, Dr. John, Bob Dylan, Robbie Roberston, Daniel Lanois, and Willie Nelson, among others. Cyril has co-written songs with Bono of U2, Taj Mahal, Daniel Lanois, to name a few, and was the one that Lanois credits as the musical catalyst that led to the Nevilles’ Grammy Award winning record “Yellow Moon.” Recent television appearances include Jimmy Kimmel Live and HBO’s hit series “Treme.” He has performed all over the world including the Amnesty International tour with U2 and the Police and has sung for Nelson Mandela. Starting in 2011, Cyril toured and recorded five albums as a leader of the Royal Southern Brotherhood alongside Mike Zito, Devon Allman and others. In 2015 Cyril and Dr. John were presented with the “Louie Award” for their dedication to preserving and promoting the cultural legacy of Louis Armstrong. Cyril continues to work on exciting new projects, tour with his own band, and gather accolades along the way. As a member of the Meters Cyril recently picked up the Grammy Lifetime Achievement Award. He received the Best of the Beat 2018 – Best Male Vocalist Award. He collaborated with South African artist Ernie Smith on the song “Saturday Night in Soweto”, and with Sly Dunbar, Zak Starkey, and Robbie Shakespeare on a reggae remake of American blues songs. He is featured on the brand new single “Stranded” by legendary drummer Bernard Purdie, which was released April 2018. Cyril is about to tour Africa for the third time, and has an upcoming US tour with Trombone Shorty. And Cyril is proud to be releasing his Endangered Species project as the first artist on Omari Neville‘s World Order Entertainment record label.